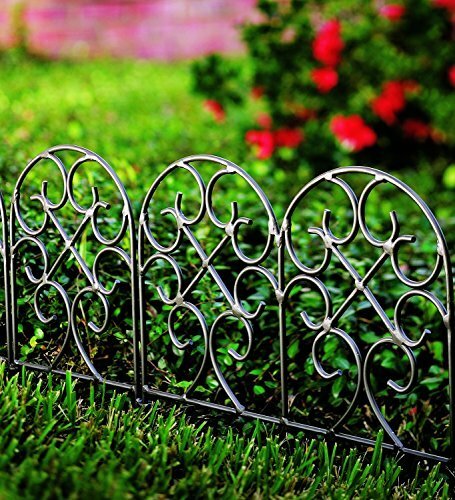 "Wrought-iron edging is a pretty and practical addition to your garden or flower beds. The easy-locking ring system allows for flexibility around curves and corners. Durable gunmetal powder-coat finish. Size: Scroll Edging: 6 sections of 18 x 18"" and 2 sections of 9 x 18".